• ‘KB스마트원통합인증앱’의 별도 설치 없이 스타뱅킹 App에서 더 편리 해진 지문/홍채 인증서비스를 사용 할 수 있고, 지문인증을 등록/재등록할 경우 일 누적 100만원 이하를 보안매체 입력 없이 간편하게 이체를 할 수 있습니다. • 자동이체 등록 할 때 ‘입출금식계좌 등록’ 메뉴가 맞는지, ‘타행자동이체등록’ 메뉴가 맞는지 찾아가기 어려우셨죠? 이제는 ‘자동이체 등록’ 메뉴만 찾아서 받는분 계좌만 입력하면 자동으로 체크해서 화면이 제공됩니다. • 별도 메뉴로 제공하던 ‘빠른이체’가 ‘이체’ 화면에서도 제공됩니다. • 전계좌조회 메뉴에서 내가 가입한 상품 카테고리만 볼 수 있어 화면이 심플해지고, 총잔액을 숨길 수 있는 기능, 계좌 순서를 변경할 수 있는 기능, 계좌별 옵션메뉴 제공으로 편리 해졌습니다. • 전화 : 휴대폰 상태 및 기기정보에 대한 접근권한으로, 이용폰 지정 서비스, 스마트 OTP (IC카드 인증서), 휴대폰본인인증, KB든든간편인증, 환경설정 내 버전 확인 시 사용합니다. • 저장공간 : 기기사진, 미디어, 파일에 대한 접근권한으로, [인증서 저장, 수정, 삭제, 읽기], [이체 후 특별한 송금메세지 발송], [모바일통장에서 통장사본 저장], [KB smart 폰 예적금에서 프로필 사진 설정] 시 사용합니다. 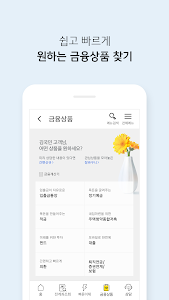 • SMS : SMS 전송 및 보기 권한으로 이체 후 SMS 전송, 인증 SMS 수신 시 사용합니다. • 주소록 : 주소록에 대한 접근권한으로 간편송금 수취인 불러오기, 이체 후 SMS 전송의 연락처 불러오기 시 사용합니다. • 카메라 : 사진 찍기 기능에 대한 접근권한으로, 스타샷서비스, QR인증서 복사 시에 사용합니다. • 위치 : 기기 위치정보에 대한 접근권한으로, 지점/자동화기기 찾기 시 사용합니다. • You can use the fingerprint / iris authentication service which is more convenient in the star banking app without installing 'KB Smart One Integrated Authentication Application'. If you register / re-register fingerprint authentication, You can transfer easily. • When registering for direct debit, it is not easy to find out whether the menu for 'deposit / withdrawal account registration' is correct or the 'register for direct debit transfer' is correct. 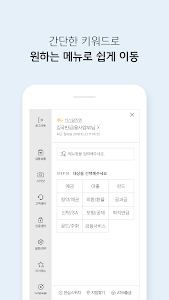 Now, you only need to find the 'Automatic Transfer' menu, and if you enter only the account you receive, the screen will be automatically checked. • "Quick Transfer", which was provided as a separate menu, is also available on the "Transfer" screen. • You can see only the product category that you subscribed to in the previous account retrieval menu, and the screen becomes simple, and the function to hide the total balance, the ability to change the account order, and the option menu for each account have become convenient. - If the operating system is tampered with, such as jailbreak for safe financial transactions, use of the service is restricted. - It can be downloaded via 3G / LTE and Wi-Fi of mobile carriers. In 3G / LTE, data charges may be charged if the fixed capacity is exceeded. 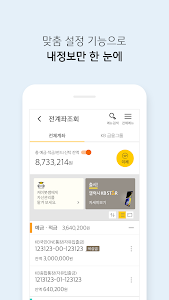 ※ In accordance with Article 22-2 of the Act on the Promotion of Information and Communication Network Utilization and Information Protection, and revision of the enforcement ordinance, the necessary access rights for providing KB Star Banking service will be shown as follows. • Phone: This is the access right of the mobile phone status and device information. It is used to check the user's phone number, smart OTP (IC card certificate), mobile phone authentication, KB authentication and environment setting. 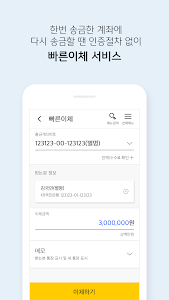 • Storage space: [Store, edit, delete, read certificate], [send special remittance message after transfer], [save copy of passbook on mobile bankbook], [KB smartphone deposit Use your profile picture settings at. • SMS: It is used to send SMS after transferring to SMS sending and viewing right, and receiving authentication SMS. • Address Book: This function is used to call recipients for easy remittance access to the address book, and to import contacts for SMS transmission after transfer. • Camera: This is the access right of the photo shooting function. It is used when copying the star shot service and QR certificate. • Location: Access to device location information, used to locate branch / automation devices. 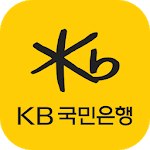 ※ You may use KB Star Banking service even if you do not agree to allow the optional access rights. However, there may be restrictions on the use of some of the necessary functions. 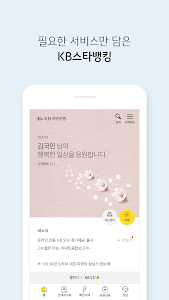 You can change it in [Smartphone Settings> Applications> KB Star Banking> Permission] menu. .
※ If you use a smartphone with Android OS version 6.0 or lower, you can use it without mandatory selective access. In this case, make sure that you can upgrade the operating system of your smartphone to Android 6.0 or later. After upgrading, delete and reinstall the already installed apps, you can set the access right normally.